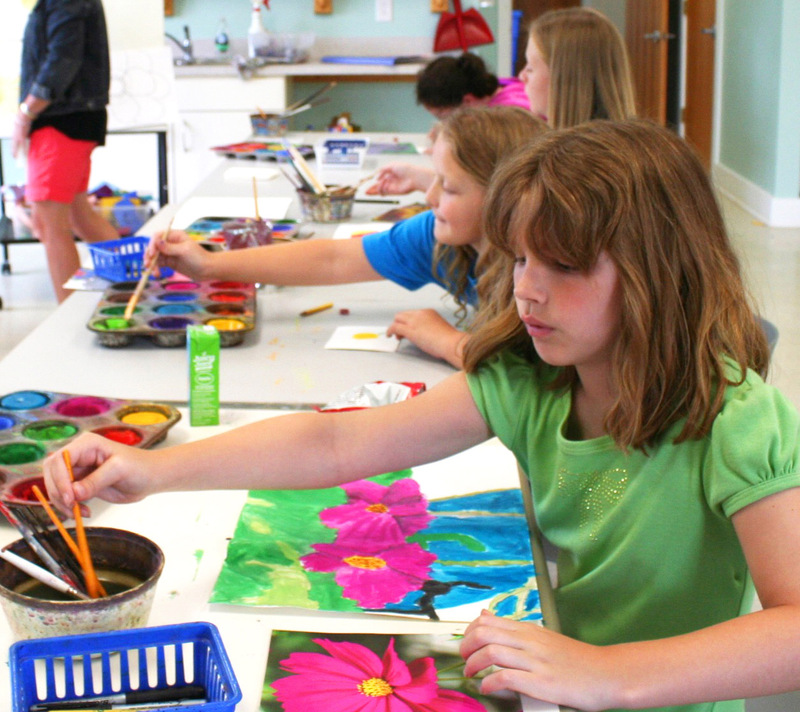 Summer Arts & Crafts Camps welcome youth of all ages and experience levels. No prior experience is necessary! Our Summer Arts & Crafts Camps serve our local community of Tyrrell County and surrounding communities, including parts of Washington, Dare, and Chowan Counties. We encourage fun, energetic classes in visual and performing arts! Your child will learn about a multitude of art media during Summer Arts & Crafts Camp – from drawing and painting to metalwork, dance, clay and music. Instruction in various creative techniques, hand coordination skills, and tutorials on tools and equipment will be covered. Each arts & crafts camp is designed for the comfort of beginners and the advancement of experienced students. We encourage all ages to join in the summer fun and creativity. We’re excited to announce that this year every camper will receive a free Summer Arts & Crafts T-shirt! Be sure to include your youth t-shirt size at registration. 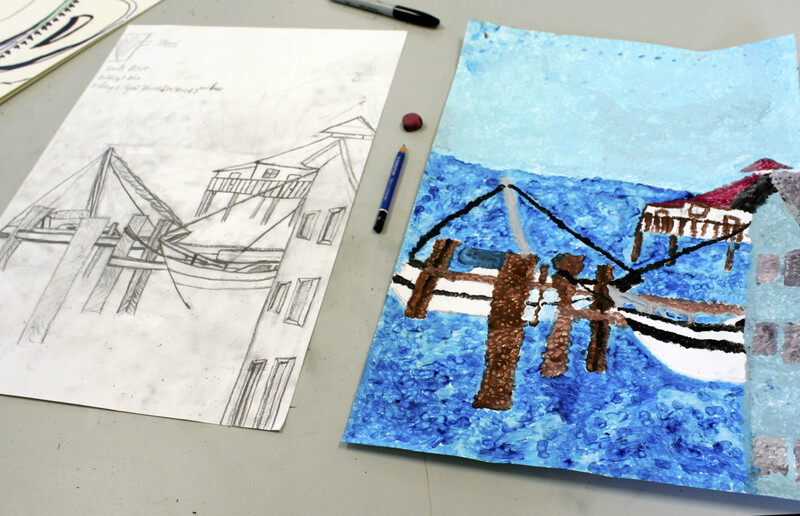 Our Summer Art programs are organized into two different age groups. All classes run for one week, Monday through Friday. Age groups and meeting times are listed below. Summer Arts & Crafts Camps : (Ages 6 – 9 years) meet 9:00 am – 12:00 noon. Students may arrive as early as 8:45 am. Summer Arts & Craft Camps : (Ages 10 – 18 years) meet 1:30 pm – 4:30 pm. Students may arrive as early as 1:15 pm. 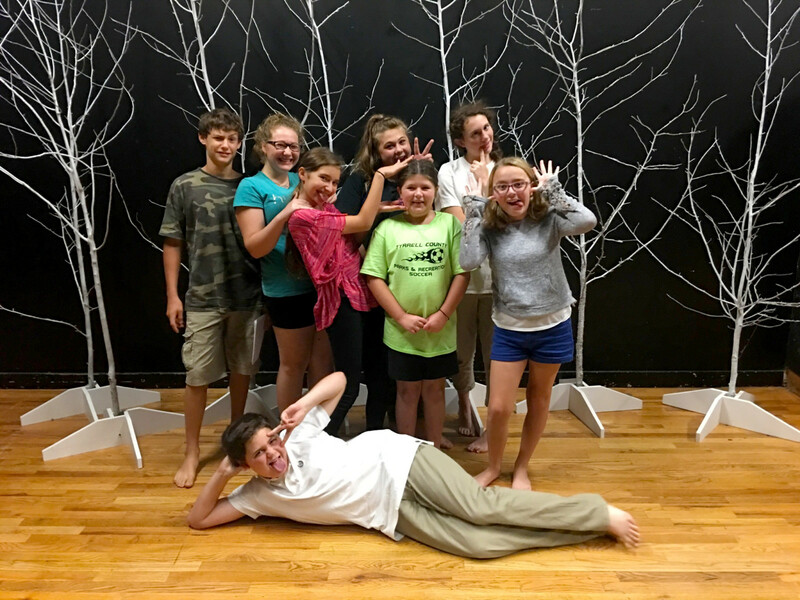 At the end of the 7 weeks of Summer Arts & Crafts Camp, Pocosin Arts hosts our Annual Youth Arts Show. We invite you to join us Friday, August 10, 2018, from 5:30 pm to 7:00 pm at the Columbia Theater, located at 304 Main Street. Family, friends and art enthusiasts can tour the creations that our local youth built during our Summer Studios. This year we are excited to announce that our music camp students present a lively concert performed during the art show. 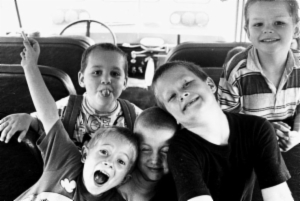 Need assistance getting your budding artist to Summer Art Camp at Pocosin Arts? The Gator Line run by Hyde Transit may be able to help! The Gator Line provides transportation for residents of Tyrrell Count for only $2 per round trip. To check availability and to register your student to ride, call Gator Line at ( 252) 926-1637. Instructor Gabrielle Grace Graber is Pocosin Arts’ Ceramics Resident Artist. 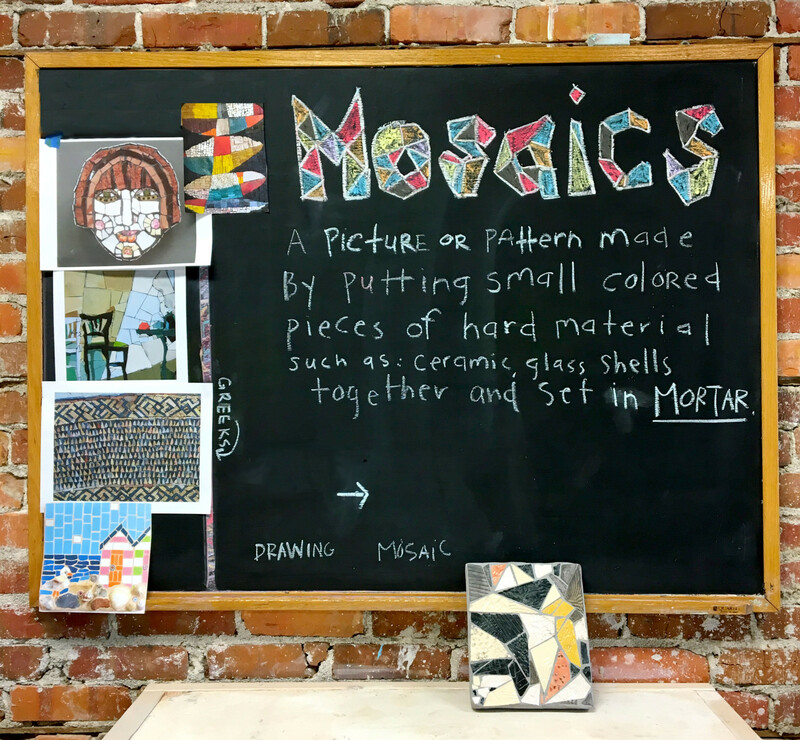 She has led Art After School, adult classes, and workshops at Pocosin Arts. Gabrielle is a figurative sculptor and installation artist. She received her BFA at Ball State University in Muncie, Indiana, and her MFA at the New York State College of Ceramics at Alfred University. She was the recipient of a Windgate Fellowship Award which allowed her to be a resident artist in Vallauris, France. She has shown in exhibitions nationally and internationally. Her practice is an ongoing investigation of being a body in the world, where layers of experience and interactions collide into material form. Summer Art Camp kicks off with a collaboration project! A mosaic is a picture or pattern produced by arranging together small colored pieces of hard materials. 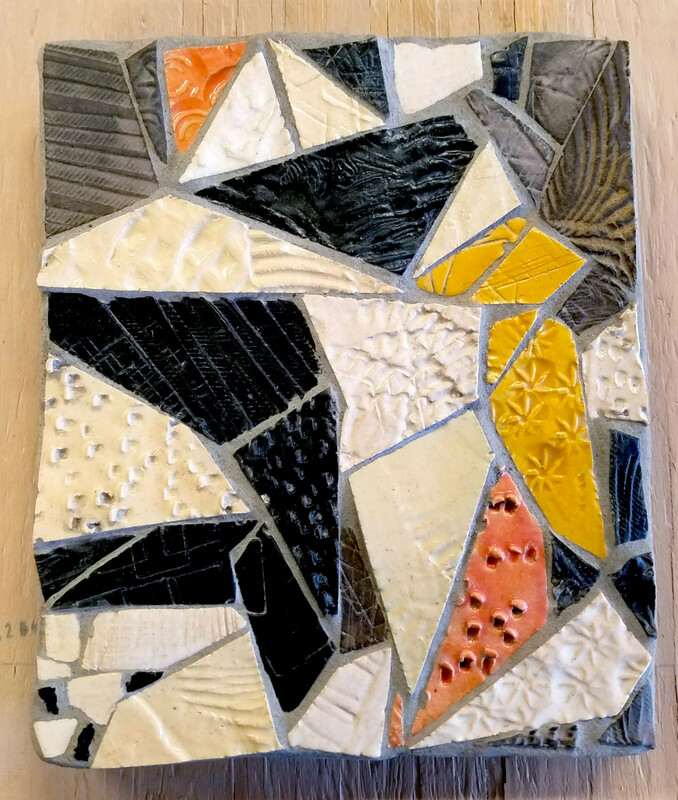 Students will be working with a variety of materials such as ceramic, stone, glass, and found objects to create one of a kind mosaics. Each student will learn how to color and shape match pieces with these materials to make designs of their choosing. In this class participants will learn about tile making, clay work, color schemes and spacing. 9:00 am – 12:00 noon, daily. Snack-time midway through class. Students may arrive as early as 8:45 am. Pick-up between 12:00 pm and 12:15 pm. $75 or select from pay what you are able rates, materials and snack time included. Learn more about our sliding scale registration fee by clicking the “Register” button. Thanks to the Grable Foundation, we are able to offer tuition in a “pay-what-you-can” format. 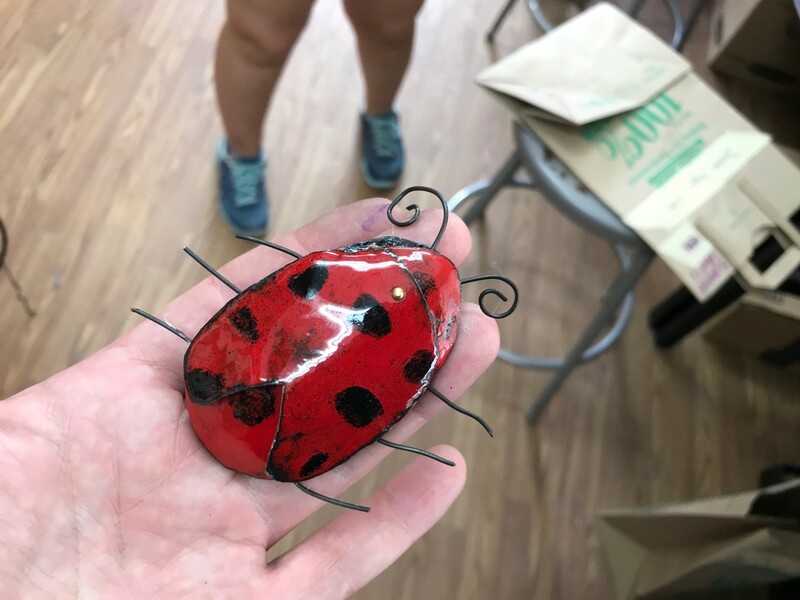 Summer Art Camp kicks off with 3 -D collaboration project! Participants develop skills in decision making, concentration, patience, creative self-expression, exploration and discovery through counting, matching, sorting, and assembling their mosaic. They will learn about the Greek and Roman history, spatial and visual organization, and basic calculation for finding surface area. This class focuses on peer to peer interaction, collaboration, cooperative learning strategies, friendship, and responsibility. 1:30 am – 4:30, daily. Snack-time midway through class. Students may arrive as early as 1:15 pm. Pick-up between 4:30 pm and 4:45 pm. Instructor Tonya Hardison teaches at Art at Edenton Middle School. This is her fourth year returning to teach Summer Art Camp. Explore the world of 2-D Art! Students will use markers, paint, crayons, glue, paper, and more to create compositions during this adventurous week. In this class campers will learn about color mixing, composition, and scale. Adventure into your favorite media in this class. Experiment with tempera and watercolor paints, graphite and charcoal, and colored pencils and crayons. Learn to use different materials in one composition to create eye catching designs! In this class participants will learn about perspective, color schemes, spacing, and layout. Instructor Alando Mitchel returns to Summer Art Camp for the second year in a row!! 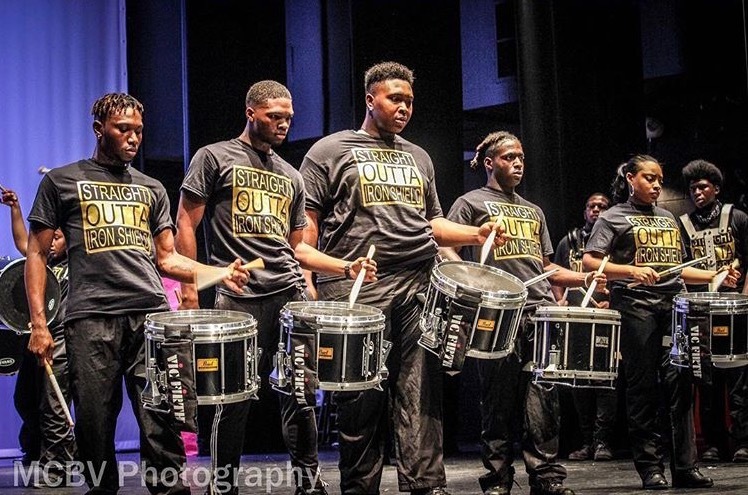 If you enjoyed last years’ drumline class, then you’ll love what’s coming for Summer Art Camp 2018! Students learn percussion, rhythm, and confidence in this inspiring musical class. Generate some beats while learning self-confidence, discipline, teamwork, and respect. The goal of what we do is to help promote character development skills with our youth such as respect, integrity, caring, sharing, good attitude, responsibility, No Bullying allowed, self-esteem building affirmations, Just Say No to violence to help make good productive citizens out of our youth now and in the future. youth are going to be apart of something, positive or negative – let’s give them a new positive choice!! Generate some beats while learning self-confidence, discipline, teamwork, and respect. 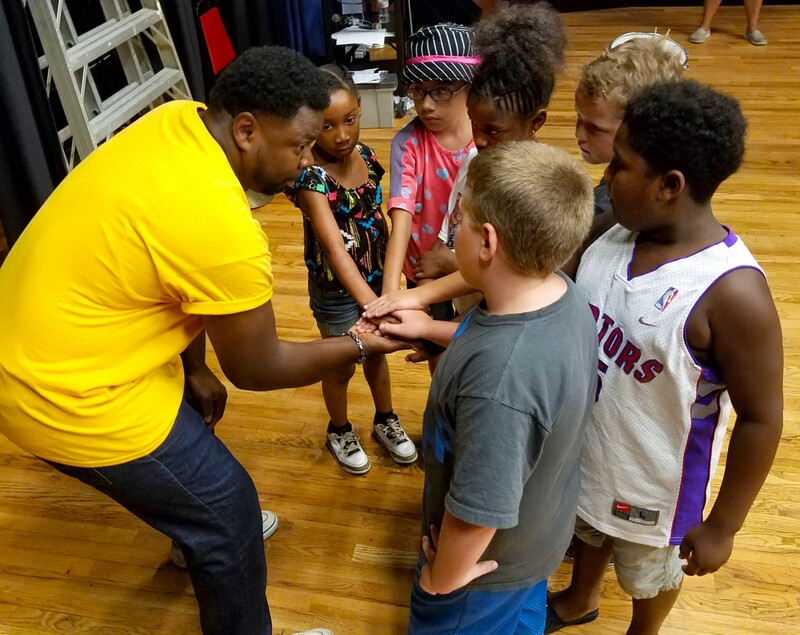 We encourage and inspire our youth to think outside the box and be apart of something positive in their neighbors, schools, and the community by confirming affirmations that we encourage during the speaking sessions. The drumming part of this session involves lots of high spirited fun-loving audience participation from youth and adults. 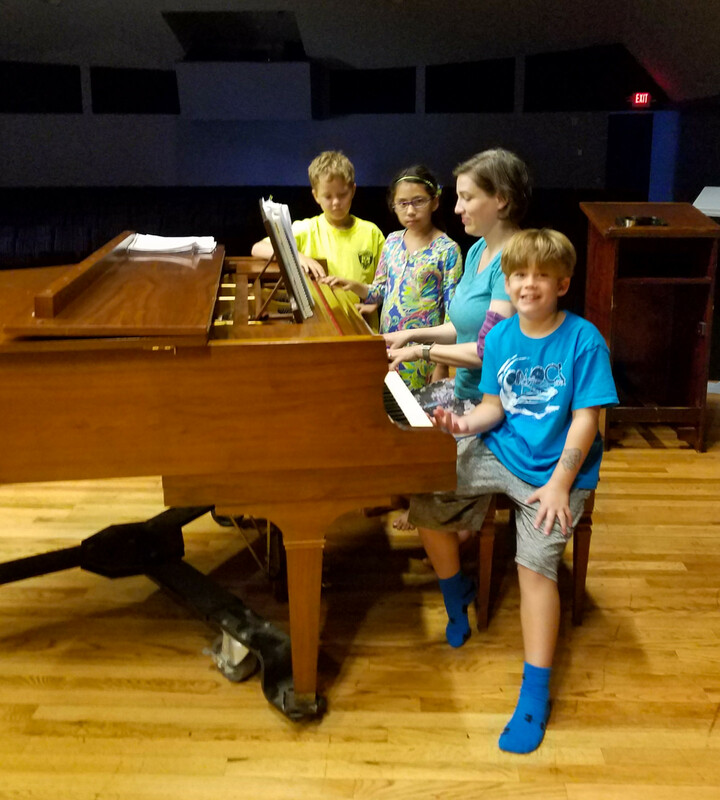 Instructor Amanda Carrick was offered the chance to study dance at the North Carolina School of the Arts by age 8, she then enrolled formally as a student for her junior and senior high school years. By age 17, she performed at Lincoln Center in the School of American Ballet’s culminary show as a scholarship student. She graduated from NCSA as a merit scholar as a principal dancer, and joined a professional dance company (Louisville Ballet). After retiring from dance, she began to teach dance and earned a Bachelor of Arts and Master’s degrees in the human services fields. She considers herself a well-rounded athlete, and is as passionate about running and fitness as she is about dance. She has run numerous races, is currently training for triathlon, and completed 2 full marathons this past year! Never danced before? Or do you know lots of steps? Well either is okay in this camp because you can learn all things dance in this class where we explore the elements of dance through body, time and space!! Students will have a blast as they are exposed to various genres of dance: ballet, jazz, hip hop and contemporary. Students will be learning steps and the basics, choreography and maybe even create their own dance piece! Be sure to wear dance appropriate clothing – no jean pants or shorts, no low cut neck lines or mid-drift tops. Choose loose or stretchy bottoms like gym shorts or yoga pants, and tops you can easily move in (bend, stretch, spin). If you have them feel free to bring your dance shoes with you. Learn all about the basic dance steps and posture, muscles and anatomy, and practice stretching to mobilize the body for dance, yoga, or pilates conditioning. 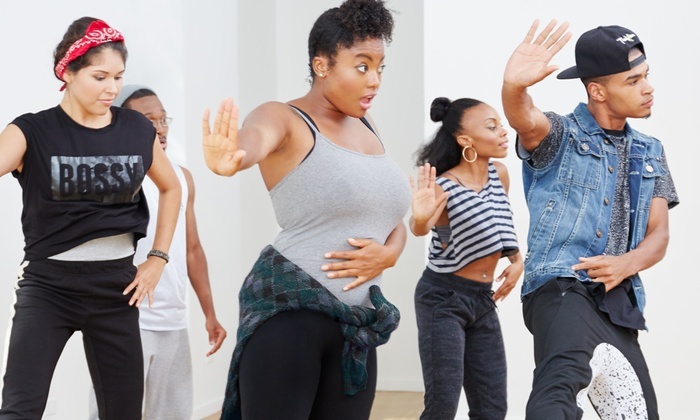 Become a choreographer by creating movements put together in a dance made of a wide variety of dance genres. 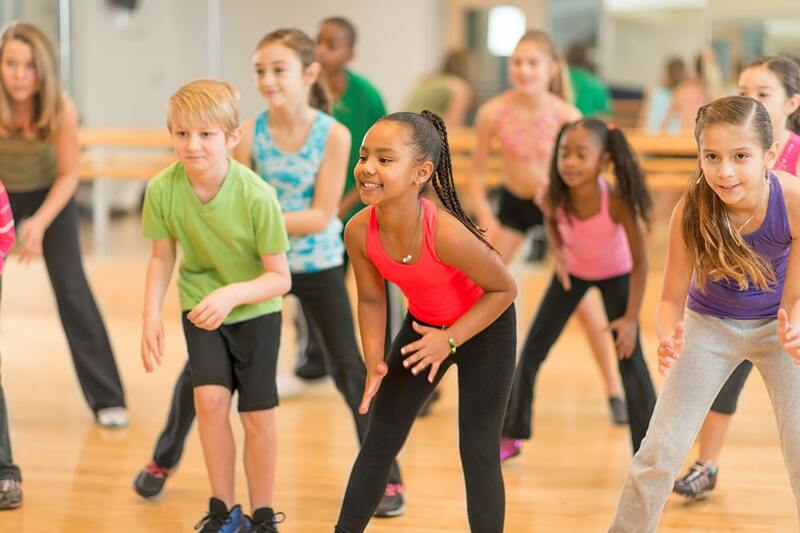 Work together to learn, create, and perform dances through cooperation and collaboration and artistic expression through music, sound, and time. No experience? No problem – all levels are welcome! Instructor Caitlin McDonald is Pocosin Arts’ Metals Resident Artist. She has led Art After School, adult classes, and special workshops at Pocosin Arts. Caitlin received her Masters in Fine Arts in Metals from SIUE, Edwardsville. Learn the processes of dyeing fabric with natural dye and how to weave using a hula hoop. Experiment with different plants, fruits, and vegetables – see how “stains” transform into colorful cotton fabric. 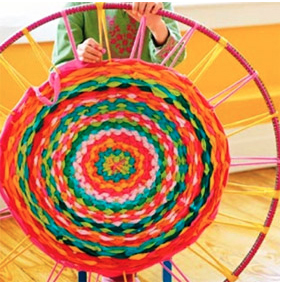 Participants will use their freshly colored fabric to create color filled patterns in this fun new approach to traditional weaving. Ever wondered why fruit stains your clothes? Learn how to create fabric dye using natural materials like plants, fruits and vegetables. 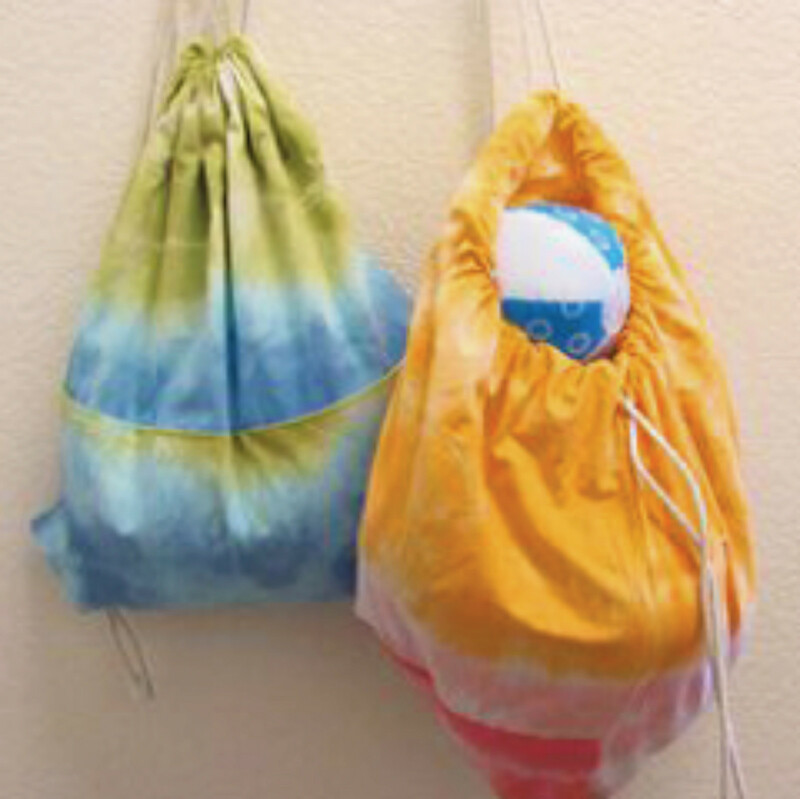 After dying their fabric, students will learn how to transform their fabric into colorful drawstring backpacks through sewing and pattern making. Instructor Hosanna Rubio is a graduate of East Carolina University where she received her Masters in Fine Arts in Metal Design. She teaches metals and jewelry at the Pitt County Arts Council in Greenville, NC and is an instructor of record at ECU. Hosanna is an award winning studio artist who’s work is featured around the country. Sculpture, Metal Design, and more! Metallic Madness is perfect for any child that loves the shiny world of art! Participants will work on a variety of projects including sculptures, embossed drawings, and much more. Older participants will even get to experience the metal design studio as they learn how real metalsmiths work, and even trying it for themselves. Five days of learning, creating, and making! Enameling is a centuries old technique of fusing glass to metal. Campers will also learn the basics of metal design including sawing, forming, filing, texturing, and more. The type of work that could be made includes, but is not limited to, small sculptures and jewelry. Instructor Lupita Nava currently teaches K-8 students as a Pitt County art teacher. She graduated from East Carolina University where she received her Bachelor in Fine Arts, in Art Education. She her studio practice includes painting and metalsmithing. 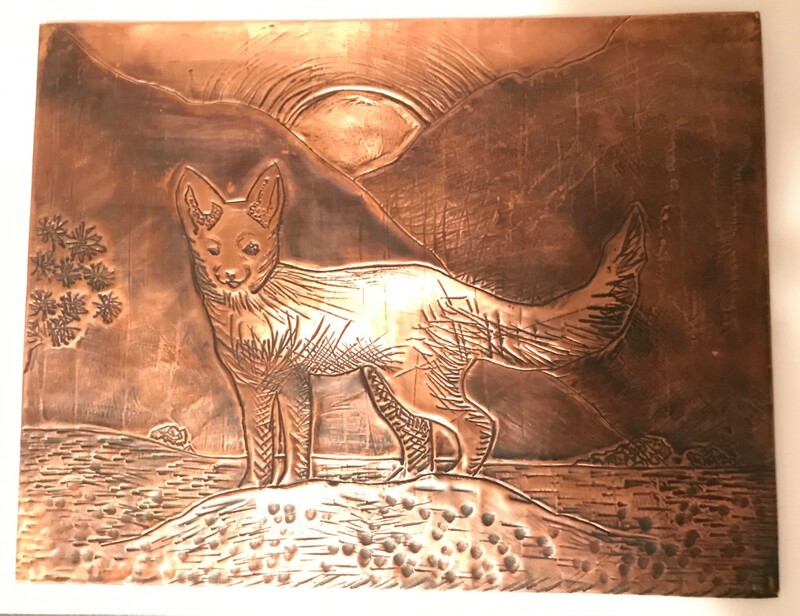 In this class, young artists will explore designs and techniques of monoprint and relief printmaking, as well as alternative processes that involve the printing process. They will also revisit and sharpen their drawing skills to create eye-catching artworks. Each student will leave with their very own prints and a self designed shirt! Be sure to let us know what size t-shirt your young artist wears. 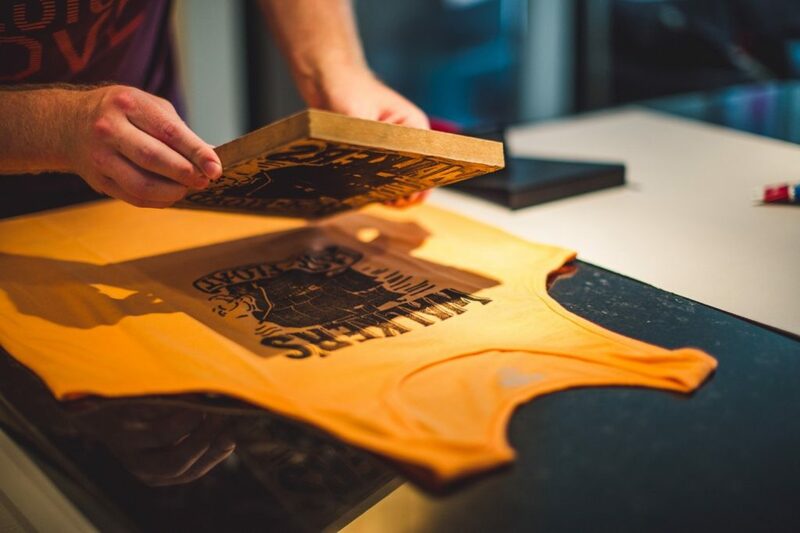 Print designs on t-shirts and more using the printmaking process! 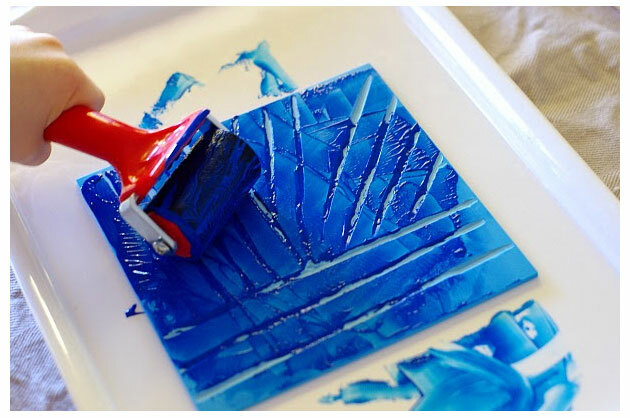 Young artists will explore design techniques of monoprint and relief printmaking, as well as alternative processes that involve the printing process. Students will develop skills in layering, carving, composition and design as they explore materials and techniques. Inspired by artists such as M.C. Escher, each student will leave with their very own portfolio of prints, and a self designed shirt! Be sure to let us know what size t-shirt your young artist wears. Sing your heart out in this musician’s class. Participants will learn how to compose song lyrics and accompanying music of their own. Bring your own instrument, if you have one, your instructor will also have some instruments for use in class. A performance by the participants of this class will take place at the end of the week on Friday, during the Youth Arts Show at 6:00 pm. If you love music, come explore your musical self! We will adventure into different styles of music and song forms. Develop your melodic, harmonic, rhythmic and improvisational skills by creating original songs and ensembles. Bring your instrument (if you have one), ideas for writing your own song, and your VOICE!